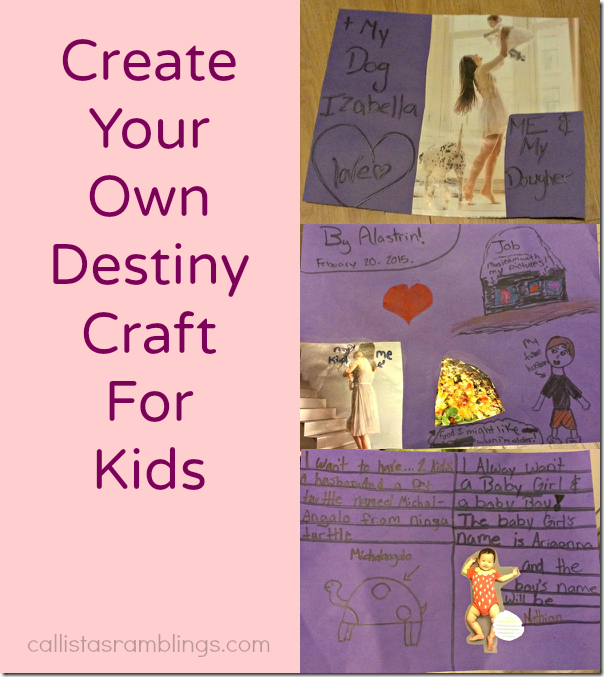 This create your own destiny craft is part of a Netflix #StreamTeam post as part of my ambassadorship. I encourage my children and the children in my Brownie group to dream big. I teach them that they can be whatever they want to be. My kids and I are always talking about the future. 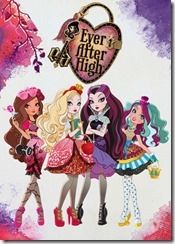 One of their favourite shows on Netflix right now is Ever After High which is about the children of fairy tale creatures and how some want to follow in their parent’s footsteps and some want to write their own destiny. Talking about choosing your future made me think of an activity my friend and I did in grade school. We went through magazines and cut out pictures that represented the future we saw for ourselves and pasted them onto paper, making a collage. I saved that collage through all of my moves and a few years ago, I dug it out and compared it to my current life. It was pretty close! I told my daughters about it and they wanted to make one too. So here are the instructions for making one incase you want to do this with your children. There really is no right or wrong way to do this. This is the paper I had on hand but when I made mine I used a roll of paper so I could rip off a longer piece. This made it easier to keep it all together and roll it up when I was done. Use whatever you have on hand. 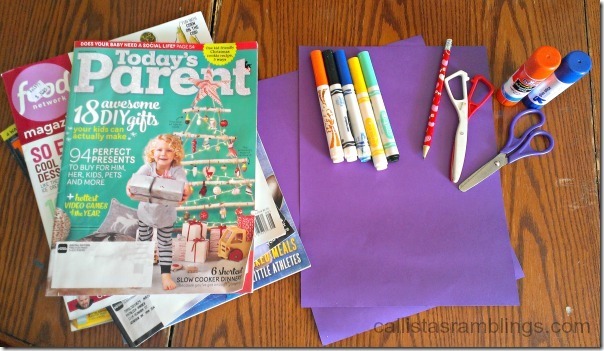 Your child can cut up the magazines, draw, write words, however he or she wants. The only instructions I gave was to think about what they want their future to be like and find images or draw pictures that represent that. I encouraged them to think about if they wanted to be married or have kids, what type of house they wanted to live in or where they wanted to live, their dream job, possible hobbies, pets, anything that was important to them. Remember (and remind them) that this is their vision for the future so there is no wrong or impossible choices. Don’t let them limit themselves but what they think they can or can’t or should or shouldn’t do. 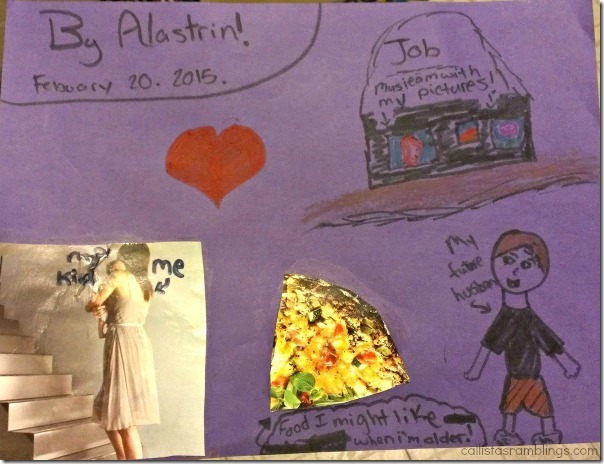 While I was envisioning more of a collage, my girls decided to include more text and specifics and that is OKAY. Make sure that however your child does it, that you tuck it away in a safe place until they are old enough to keep it safe themselves. If Ever After High is not your thing but you are looking for a show to encourage your children to follow their own destiny, Netflix has some other suggestions such as Sci Girls and Richie Rich, a remake of the original. Disclosure: As a member of the Netflix #StreamTeam I get special perks for sharing Netflix news and shows with you.